How Long Can Instagram Videos Be? Instagram was once a social platform exclusively for photo sharing, but in 2013, video posting was introduced — followed by stories and IGTV later on. Before you try to post one, you should know how long Instagram videos can be for each video sharing feature. We'll be discussing regular Instagram posts (what you're likely already familar with) and the Instagram features called Stories. Video posts show up in your followers' home feeds and on your profile. They can be recorded as a video through the camera tab or selected from a folder on your device and uploaded to the app. When you record a video through the Instagram app using the camera tab, it will automatically stop recording after 60 seconds. If you decide to select a pre-recorded video from your device, Instagram will only allow you to use the first 60 seconds of the video, cutting the rest of it off. Video posts can only be done on the Instagram app, not via Instagram.com in a web browser. Video posts are limited to a maximum of 60 seconds in length. They must also be a minimum of three seconds. 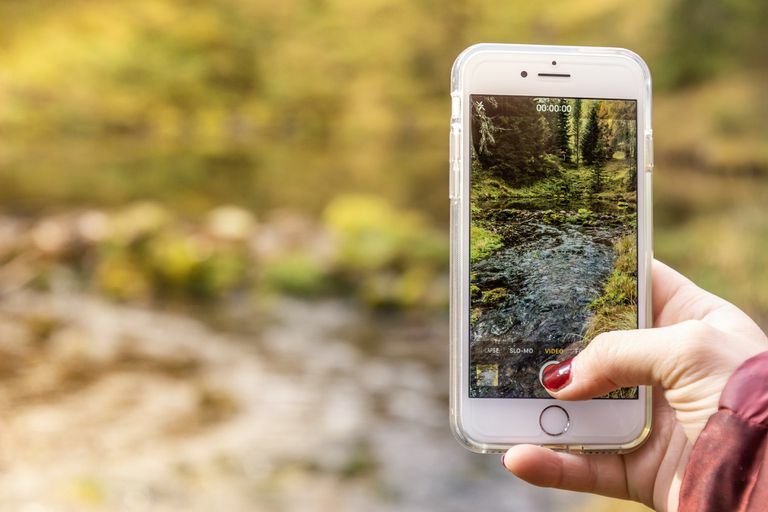 If you want to select a video from your device that's longer than 60 seconds to post to Instagram, but would rather include portions closer to the middle or the end of the video (rather than the very first 60 seconds, which Instagram takes by default and doesn't allow you to customize), you'll need to trim the video first before you upload it to Instagram. Unlike video posts, which remain on your profile permanently unless you delete them, Instagram stories disappear after 24 hours by default. Stories are meant for more casual, "in the moment" content sharing compared to regular posts. Unlike video posts, which remain on your profile permanently unless you delete them, stories disappear after 24 hours by default. Videos posted to your stories will show up on your followers' home feeds in the form of your profile picture bubble, located in the horizontal stories menu at the top. You can post a video story by swiping right from the home feed or by tapping your profile icon at the top of the home feed. Videos posted to your stories can be up to 15 seconds in length (with no specified minimum length). If, however, you decide to go live on your stories, your live video can be up to one hour in length. To make videos posted to your stories last longer, you can add them to your Highlights, which pins them to the top of your profile until you decide to take them off. Simply navigate to your profile, tap Story Highlights, tap the plus sign (+) button and select the story you want to highlight. Highlighted stories will disappear from your followers' home feeds after the 24 hours, but anyone who visits your profile will be able to tap them at the top of your profile to view them. IGTV is a free standalone app developed by Instagram and closely integrated with the main Instagram app, designed for sharing and viewing long-form, full-screen videos. In fact, IGTV was developed specifically for sharing and viewing videos longer than 60 seconds. Videos shared on IGTV can be a maximum of 10 minutes in length and must be a minimum of at least 15 seconds. Some users who have very large followings or verified accounts can share videos up to 60 minutes in length, however they must do it from a desktop computer and not a mobile device. Although IGTV is a standalone app, you don't necessarily need it to post your own IGTV videos. You can do it directly from the main Instagram app by tapping the TV button in the top right corner of the home feed. You'll be asked first to create your channel. After that, you'll be able to tap the plus sign (+) button to select a video from your device and add a title and description.